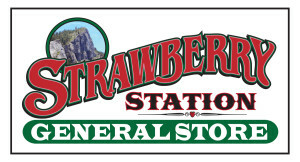 Strawberry Station opened in 2012 to meet your needs. We have grocery items, top quality climbing equipment, rad outdoor gear, K2 ski, K2 snowboard, and snowshoe rentals. We are the cheapest place to purchase quality chains for you car, truck or SVU and have them installed. 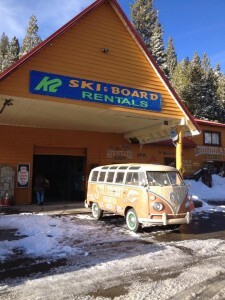 Look for our VW buses out front and say “hi” on your way to Tahoe or the Twin Bridges area! We are conveniently located on highway 50 across the street from world class climbing on Lover’s Leap, and just 10 minutes from skiing at Sierra at Tahoe, and 30 minutes from Heavenly in South Lake Tahoe. The Desolation Wilderness is our backyard and we welcome PCT hikers to stop and stay awhile! We are the areas’ friendliest faces, and we have the beta on cool places to go, and quality gear. Our beer and cider selection is unsurpassed, and our three season beer garden is an awesome place to kick back and enjoy a cold one. We help with directions and advice for your next Tahoe adventure and can outfit you with the right gear and supplies. Strawberry is one of the 15 Slow-Paced Small Towns in Northern California Where Life Is Still Simple along Highway 50. Stop by on your way to South Lake Tahoe! We love our customers and welcome your feedback and suggestions. Please use our Contact Us page to tell us what we’re doing right or how we can improve your experience the next time you visit.